Jessica is the first High Meadows Fellow at DRK Foundation. The High Meadows Fellowship Program was created to provide an opportunity for graduating Princeton seniors to join leading non-profit organizations in the environmental sphere. The program seeks to educate and expose fellows to the critical and complex environmental challenges of today by working with experts and innovators in the field. The fellowship is funded through the generosity of Carl Ferenbach, a Princeton alumnus and founder of the High Meadows Foundation. Previously, Jessica was an undergraduate researcher in Professor Mark Zondlo’s Atmospheric Chemistry and Composition group, where she studied greenhouse gas emissions from natural gas infrastructure through extensive field work in the Marcellus Shale region. Her senior thesis focused on the climate and economic impacts of methane leakage to understand potential opportunities for emissions mitigation. Additionally, she helped organize grassroots activities to raise awareness for issues of environmental justice. Beyond environmental advocacy, she led teams of student volunteers in Princeton’s Reentry Employment Preparation program to work directly with the incarcerated population, aiming to reduce recidivism in New Jersey prisons. 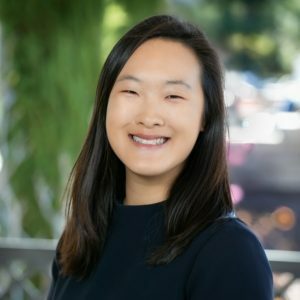 Jessica received a Bachelor of Science in Engineering degree in Civil and Environmental Engineering and a minor in Finance from Princeton University.